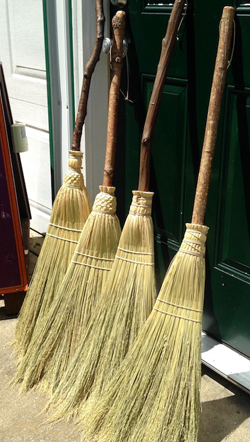 Brooms come with a proprietary, hand applied, three part finish on the handle ensuring a natural, woody feel. 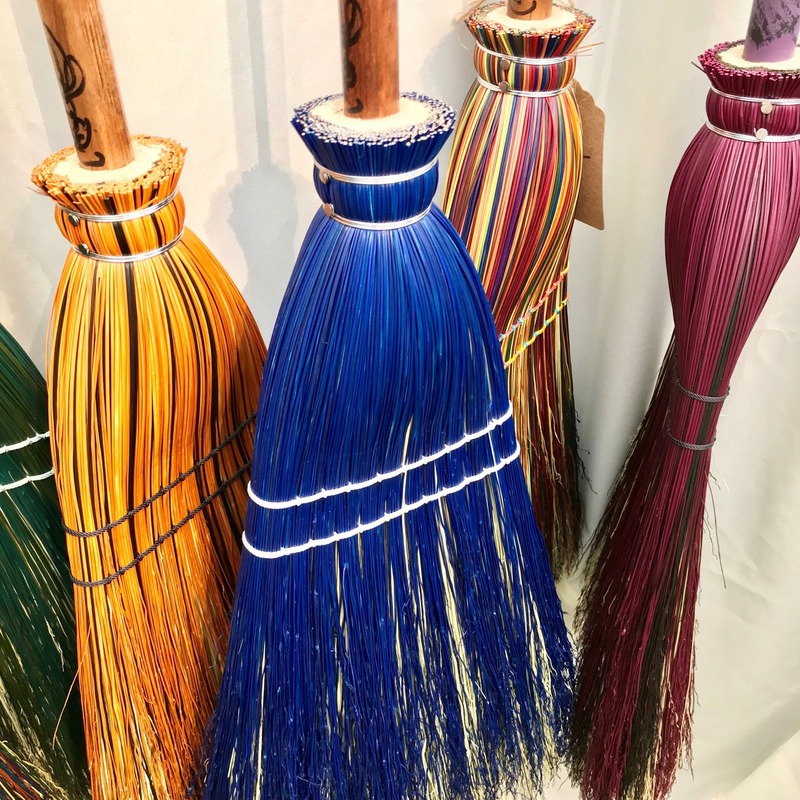 Each has a leather hanger for easy storage. 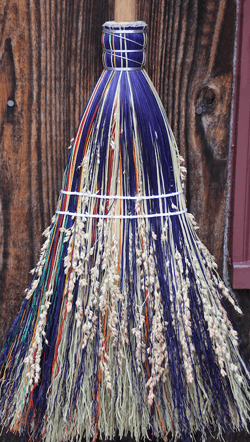 The brooms are stitched by hand with a hidden row of stitching for every visible row of stitching to ensure the broomcorn stays in place. 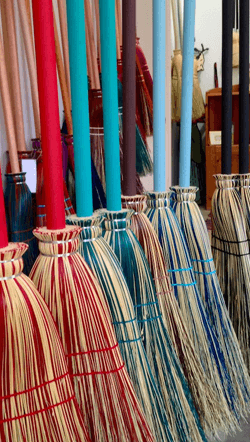 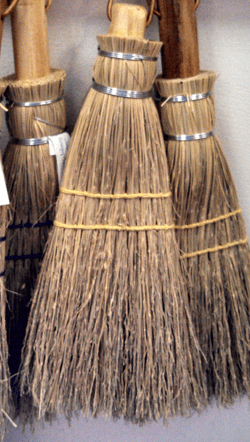 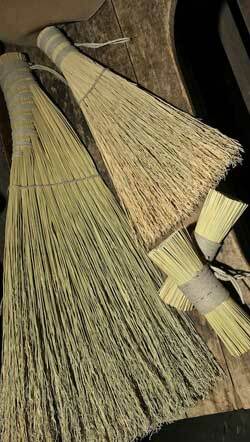 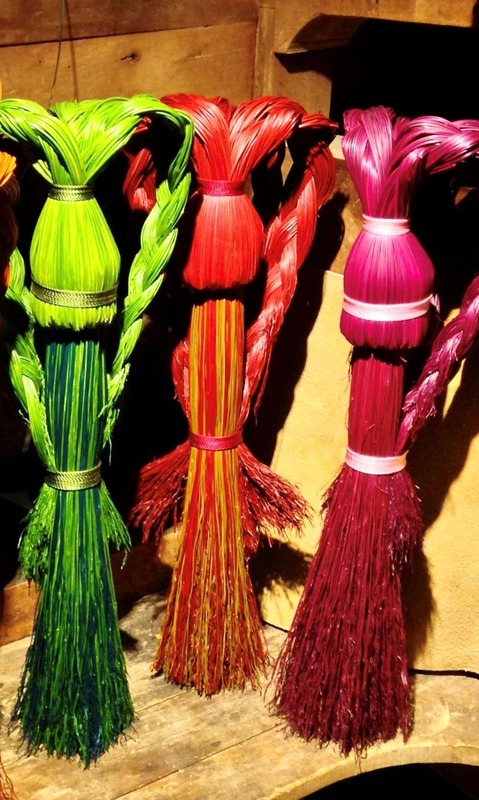 The tip of the broomcorn, known as the fine, is the most effective part for sweeping. 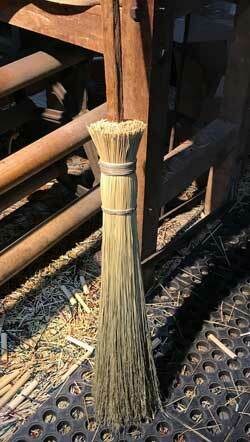 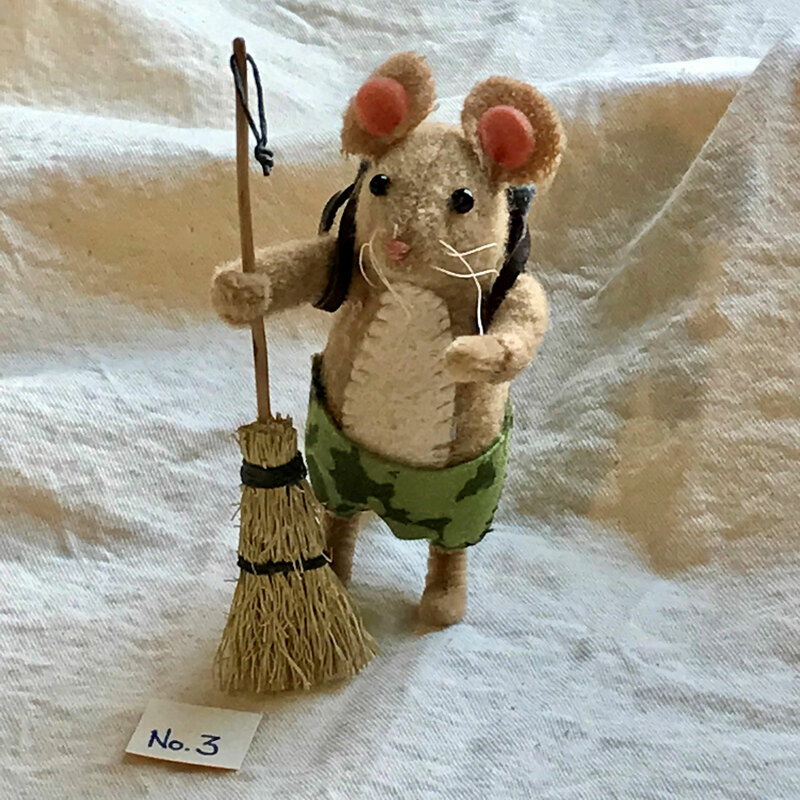 In factories, the fine typically gets trimmed off in an effort to make the broom's edge flat, but Brian takes the extra time to align the broomcorn and create a flat edge while preserving the fine. 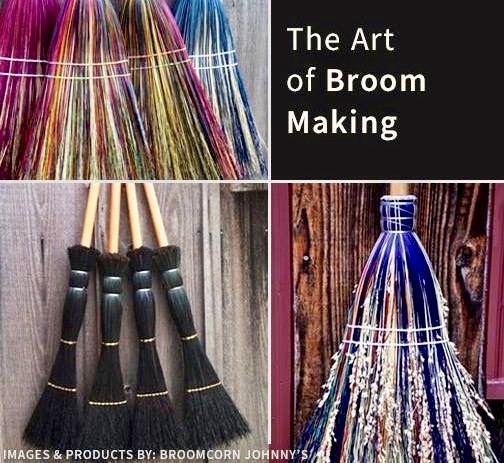 Brooms from Broomcorn Johnny's are splendidly imperfect. 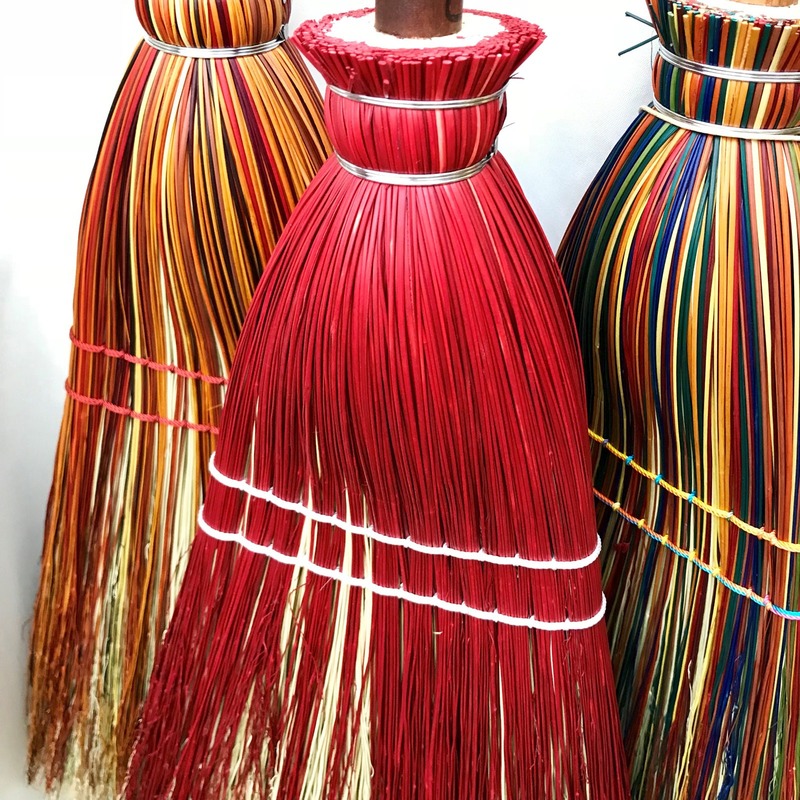 Each is individually handcrafted on equipment which is more than a century old, using techniques that are even older. 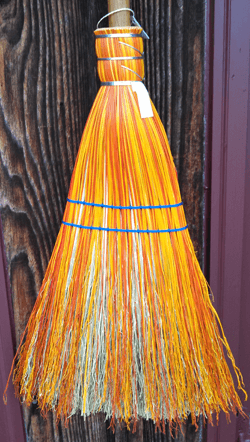 The witness marks on the handle and asymmetry in the stitching are evidence that you own an authentic, highly individual, artisan-made broom. 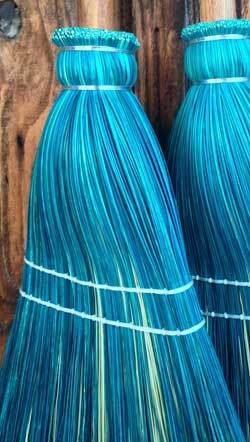 Our goal is to provide you with functional art, items of simple beauty and quiet elegance. 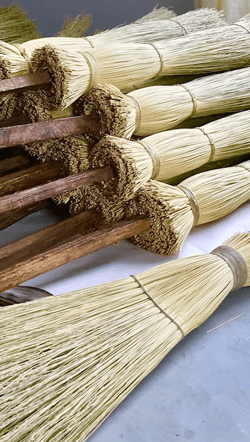 These brooms are historically linked to bygone days when it was important and honorable to make items of quality and longevity that proudly bore the craftsman's name. 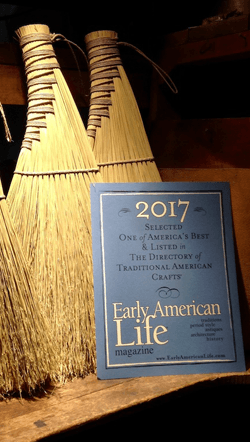 Use them, enjoy them, and share them with your friends and family.